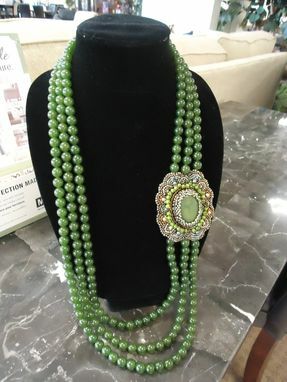 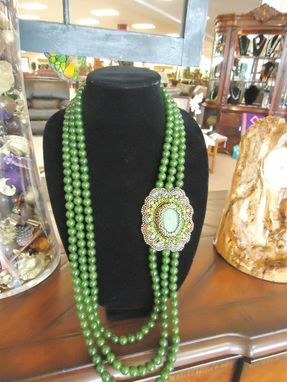 This is a 3 strands of gorgeous faceted green jade necklace with hand stitched beaded panel. The panel is hand stitched with swarovski crystals, gorgeous Miyuki and Delica beads. 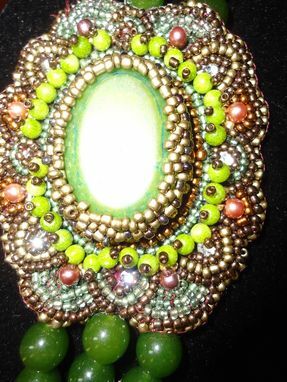 The center piece of the panel is semi precious stone bead.